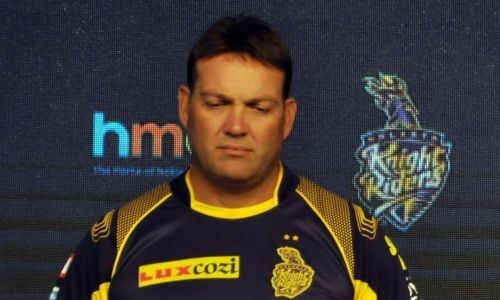 Kolkata, April 14 (IANS) Terming their mistakes 'basic', Kolkata Knight Riders (KKR) head coach Jacques Kallis said on Sunday that Chennai Super Kings (CSK) spinner Imran Tahir took advantage of the bad choices made by the KKR batsmen as the team lost by five wickets in the Indian Premier League at the Eden Gardens here on Sunday. Tahir (4/27) got the wickets of a set Chris Lynn (82) and the ever dangerous Andre Russell (10) in the 15th over besides accounting for Nitish Rana and Robin Uthappa to restrict KKR to 161/8, their lowest score at this venue this season. CSK then rode Suresh Raina's unbeaten 58 to win their seventh game in eight matches to stay atop the points table as KKR slumped to their third straight defeat. "At times you make bad choices and he (Tahir) took advantage of that. He has been a fantastic performer in this format of the game for a long time now. He has some good skills and understands his game and knows how to go about it. That shows that age is just a number," Kallis said in the post-match presser, refering to the 40-year-old spinner from South Africa. "We need to turn things around and stop making basic mistakes. We're making basic mistakes and that's the problem," Kallis said. KKR were 142/5 after 16 overs but could manage just 19 off the next four, failing to find the fence even once. Kallis said the batters needed to finish smartly as a 180-plus score on this wicket would have been a winning total. "When you are 142 after 16 overs, you just need to finish smartly and get to 180 on a wicket which is a little bit slower. 180 wins you the game," he said. Towards the end, CSK needed 24 off 12 balls and on another day, Kallis said, they could have won. The legendary South African said the team will now take time off the game before taking on Royal Challengers Bangalore on April 19, adding that it will be one game at a time from here on. With eight points from eight matches, KKR still have six more games in hand. "We still got to win four games out of six. One game at a time. The guys are hungry to do well and the team spirit is still good," Kallis said. Asked about skipper Dinesh Karthik's lean patch, Kallis said: "DK is working hard and hitting the ball well in the nets. It's just that he hasn't had too much of an opportunity. The role that he plays for the team is vital. "He is a good finisher and has been successfully finishing games for us. He will get the runs. His main focus is on winning matches, not on personal stuff."